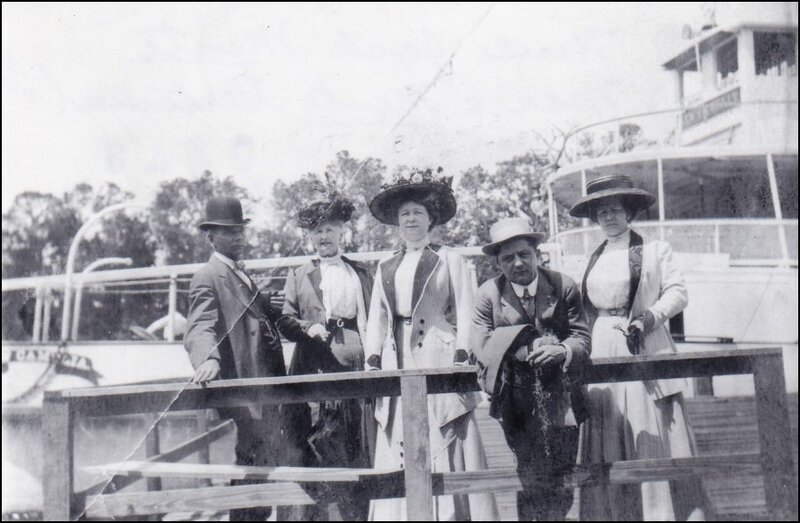 Why the Mass Emigration from Germany in the 1800s? 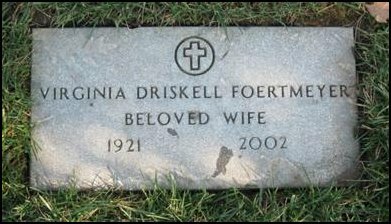 This record has been compiled by Charles H. Foertmeyer III, with information also provided by Gayle Marie Foertmeyer Putt, to attempt to shed a little light on who of our Foertmeyer and Driskell family are located here, and precisely where they are buried. 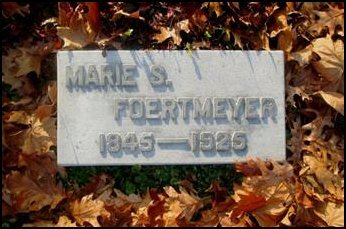 Furthermore, I have included the families we have heard mentioned all our lives into which Foertmeyer women married. 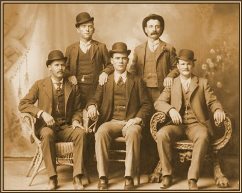 After all, these were the families that our family associated with and, at that time, considered family as well. 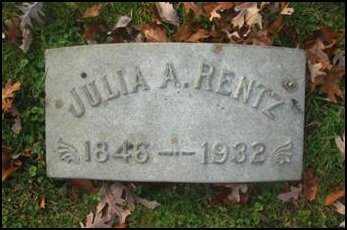 This is not intended to be a complete history; however cemetery interment cards can be an interesting source of information, such as the names of parents, spouses, cause of death, and residence address. 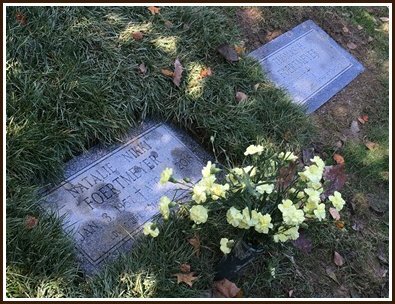 Therefore, each person’s name in this record is a link to their interment card, home, and photograph, if available. If the individual does not have an individual page, you will be taken to the page upon which they appear. 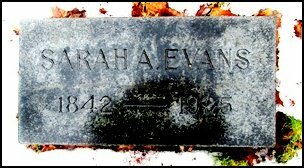 Of course, as with many projects, this project grew beyond its scope to include relatives and friends of the family wherever I found them. It even became the receptacle of information for extended families, as well. 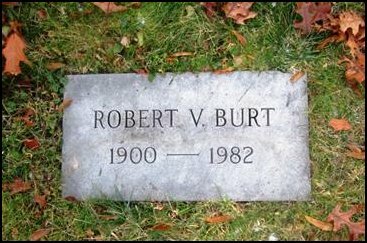 For quick look-up, the alphabetical surname index contains most of the names you will come across in this project. For those unfamiliar with the family, just browsing through the site is probably the best way to get a handle on it. 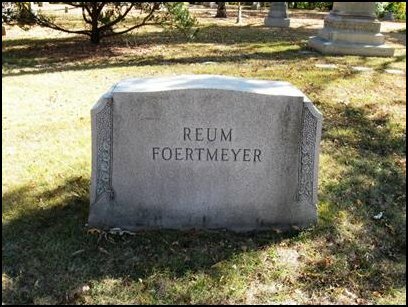 Unfortunately, there is only one individual marker in the Foertmeyer, Wagner, and Reum Lot. 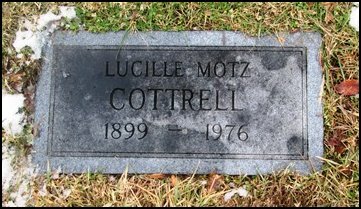 I suppose these three families felt it sufficient to mark their passing with just one monument marker bearing their surnames. 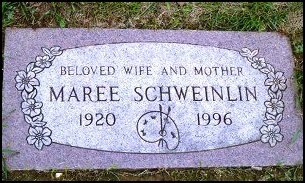 This, despite there being 30 individuals burried here. The oldest members of the family can be found here. 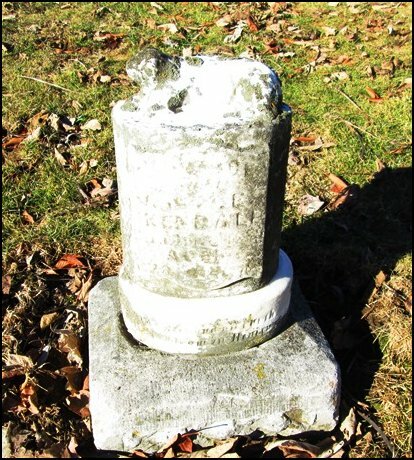 We start with Doris Georg Förtmeier who came to America in 1861. she was preceeded by several Förtmeiers, the first of which, and not buried here, was Georg Eduard Förtmeier, her first son and third child, coming here in 1846 on the ship Johann George. At the end of this document is a complete list of the Förtmeier children, both those eight who came to the USA and those three who remained in Germany. 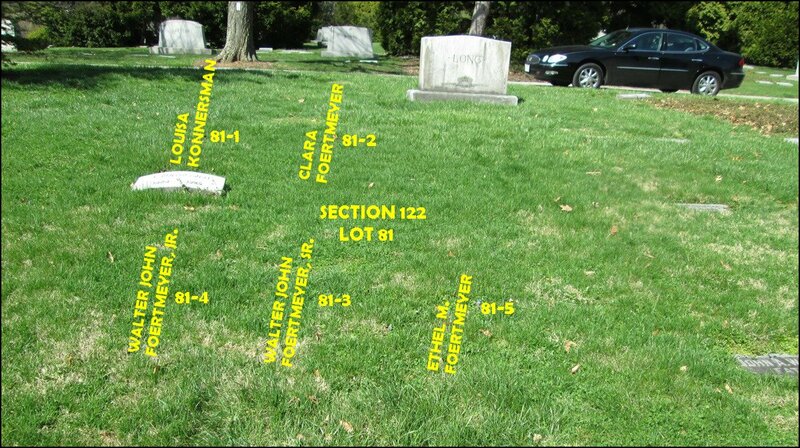 Immediately below are just those buried in Section 39 Lot 136. When surfing through this document you will click on links that take you to each person's interment card page. Those page background colors mean something; the light cream color is for Foertmeyers or their direct descendants. 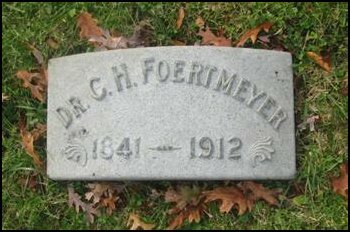 The light green backgrounds indicate someone who married into the Foertmeyer family. 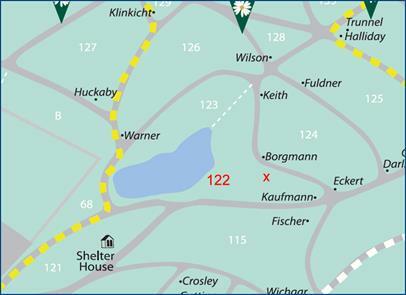 The light blue background denotes adopted or married an adopted Foertmeyer. 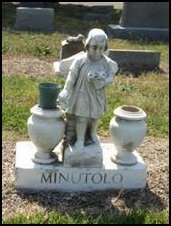 @@ The family story is that his nanny set him on a wall while she talked to the beat cop. 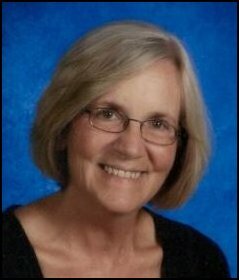 He fell and suffered fatal injuries. 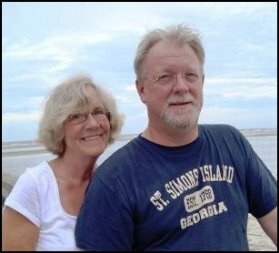 However, Spring Grove records say he died of spinal meningitis. 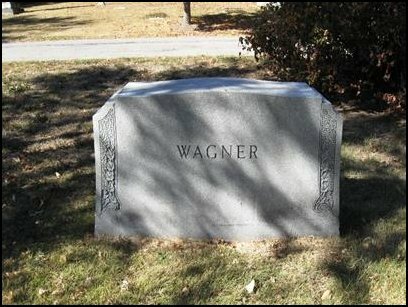 He is found interred at Spring Grove cemetery in the Foertmeyer/Reum/Wagner plot. 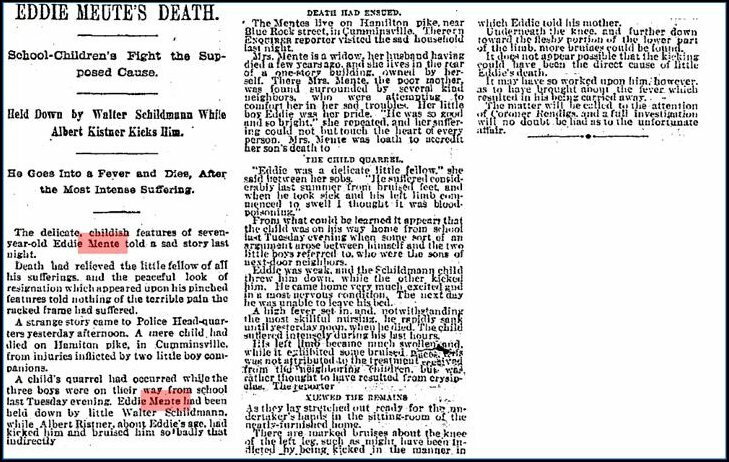 From the Cincinnati Enquirer, 10 Aug 1882: On Wednesday afternoon at 5:30 o'clock, Edward William, infant son of Louis C and Marie Foertmeyer, age 2 yr. 2 mo. Funeral from residence no. 113 Mill St. on Friday at 2 p.m. 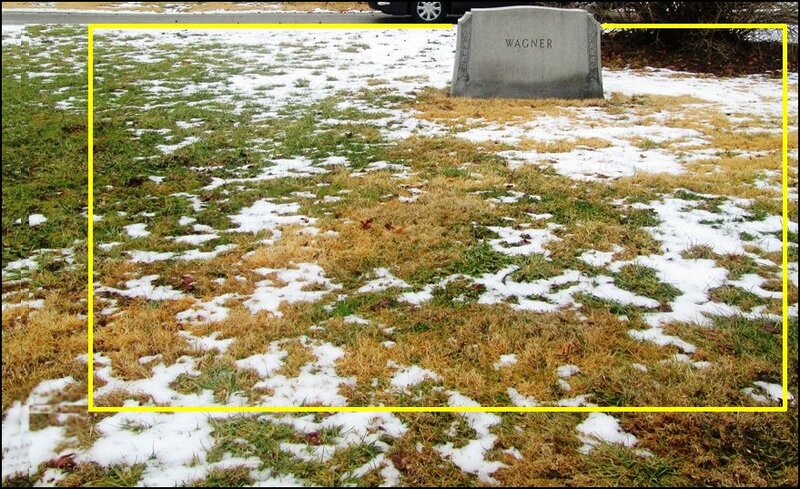 The photo above shows approximately the area of the plot into which thirty relatives are buried. Some of the graves are contained within one another, as shown in the diagram, and some of the individual graves are very small; the graves in the diagram are not to scale. 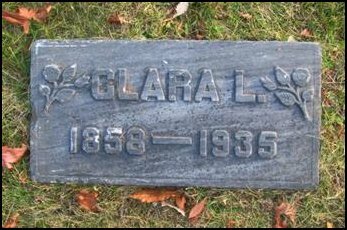 All in all, it is a crowded plot, yet there are still two graves available for any direct descendant of anyone currently interred there. 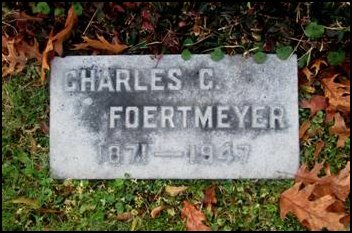 Oct. 7, 1918: Our baby (Charles Henry Foertmeyer) has the flu, fever 103. Dr. Neitus attending. 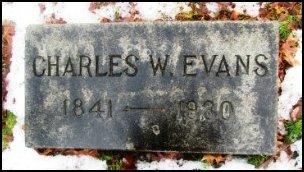 Charles G. out with Edna & children - all very ill.
Oct. 14, 1918: No hope for Edna. Brought Blanche & Chas. here. 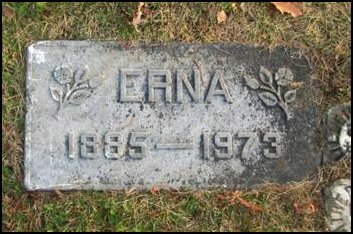 Edna died 5:23 P.M. was just 36 years old last Aug. The flu spreading. Schools and other places closed. 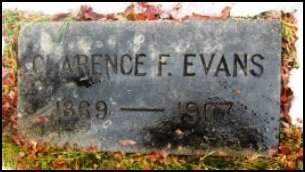 Carrie Virginia Evans was born a "Ferguson" but was adopted by her grandparents, Charles W. Evans and Sarah Anderson Evans. 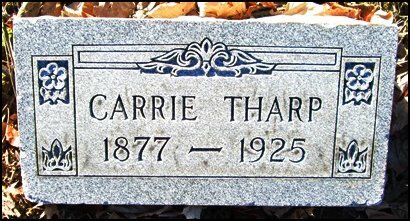 Carrie's mother died shortly after her birth. 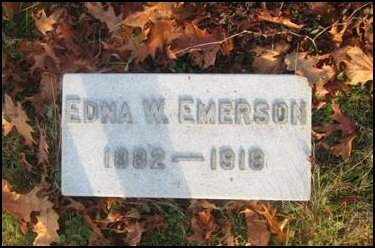 Her father, John C. Ferguson, traveled for a living and felt he could not care for an infant. 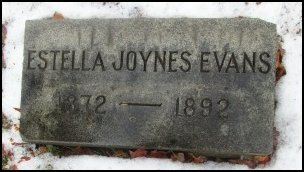 Therefore, she was adopted by her maternal grandparents. 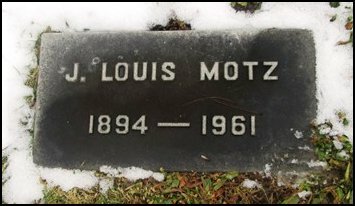 Louis served in the Army during WWI, but his enlistment lasted only a short time before the war ended. 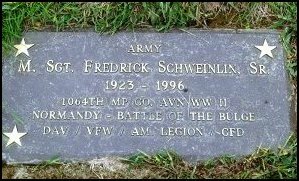 He was honorably discharged on December 20, 1918. 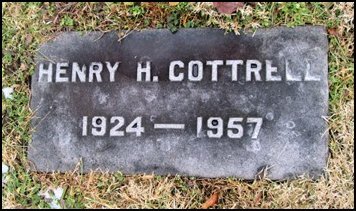 He attended the University of Cincinnati for a couple of months before giving up college and traveling to New York to work for the Dalton Adding Machine Co. 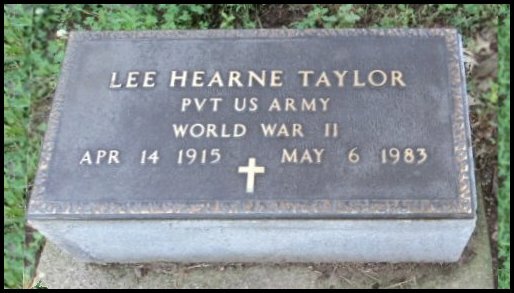 He returned home shortly after when he became ill, and upon recovering, again joined the army. 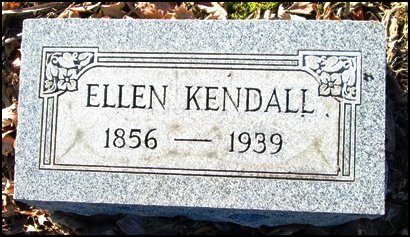 He was briefly married (December 22, 1924...noted in Blanche's diary) to Nellie Swann, but she didn't want to move away from Norfolk, and Louis didn't want to stay, so they separated. Louis never remarried and never had children. 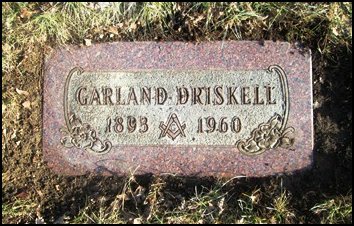 The Driskell branch of the family comes from Garland and Ruth Driskell, parents of Virginia Louise Driskell Foertmeyer. 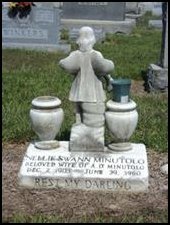 To their grandchildren they were affectionately known at Boo Boo and Granddaddy. 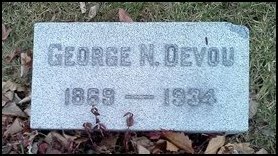 George N. DeVou [ who married Nellie Foertmeyer ] was the nephew of William P. DeVou, Jr. who donated the 		land for Devou Park along with Charles DeVou ( who was, I believe, his brother). 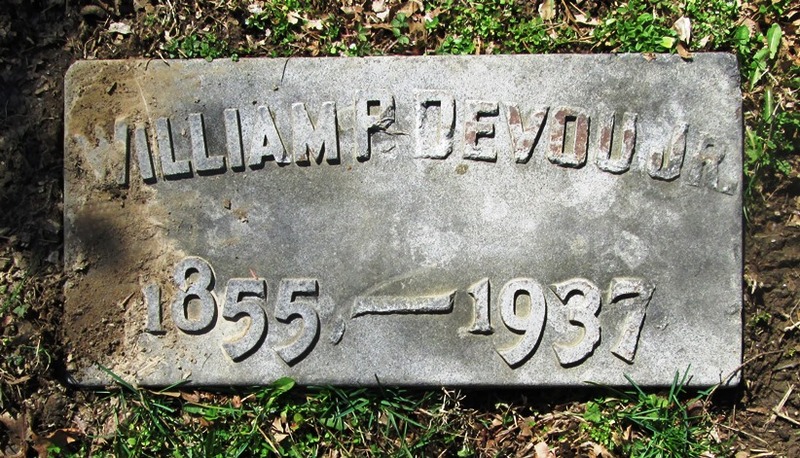 William P. Devou, Jr. was born in 1855 at Ninth and Race Streets, Cincinnati to William P. Devou, a wholesale milliner, and Sarah Ogden Devou. This photo was taken in 1870 when William was 15, before he was sent to Germany for his high school and college education. When he returned he became a bookkeeper for his father and later entered the real estate business where he accumulated considerable property. 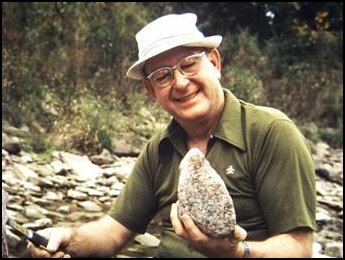 At one time his holdings were estimated to be $6,000,000. 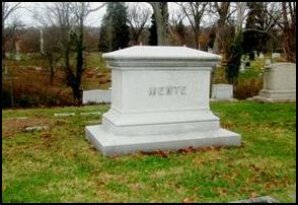 Even with his wealth and property he was an eccentric recluse. He lived in a storeroom and spent little on clothes or ammenities. 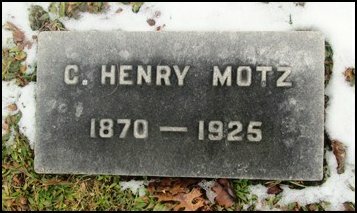 He had few friends. He personally collected rent from his tenants. 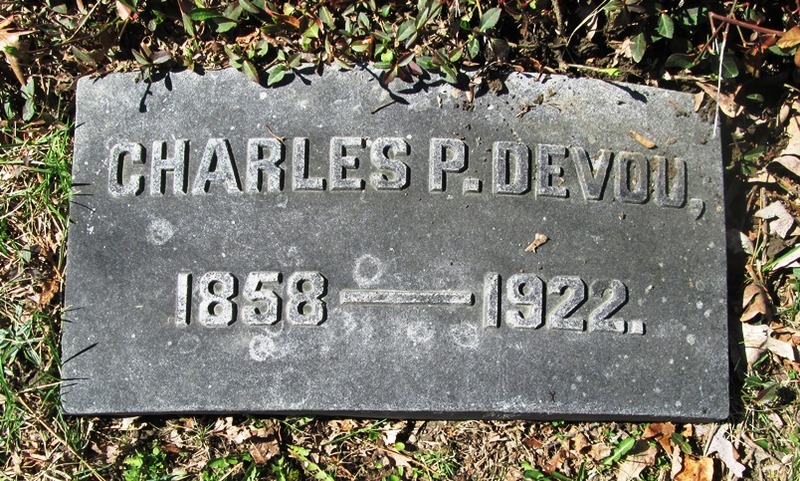 He was close to his parents, and in their memory, donated the family farm, Devou Park, to the city of Covington, KY. Devou died of pneumonia in 1937 and was buried in Spring Grove Cemetery, section 52, lot 140. 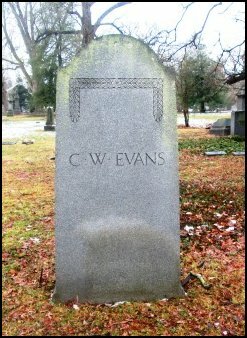 The bulk of his million dollar estate was left to the city of Covington for the upkeep of Devou Park. 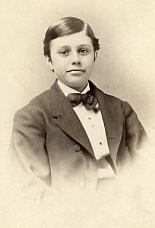 Young William P. Devou, Jr. 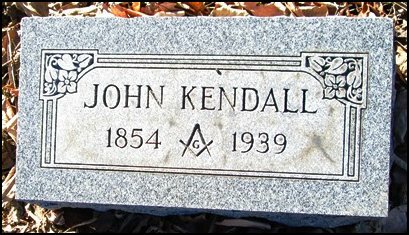 The mystery here on this plot is that there is only one marker. 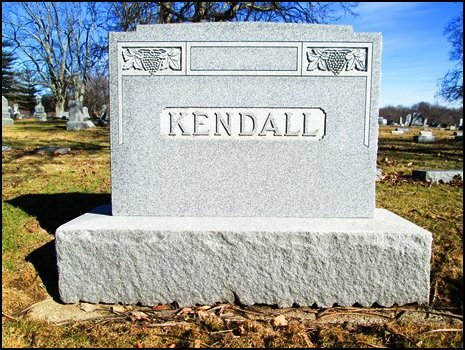 It seems to fit, on the surface, but it does not match up with the cemetery records at all. 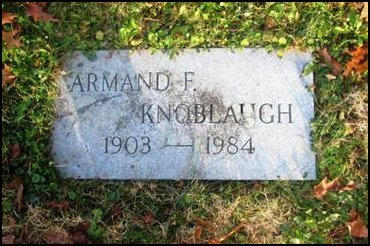 The spelling of the last name is different. 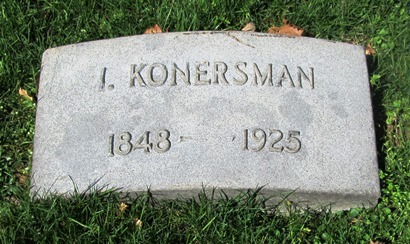 It fits closest to Louisa Konnersman, although the first name is only an initial, which appears to be an I, not an L. Her parents were John and Mary Konnersman, so that doesn’t provide an explanation either. 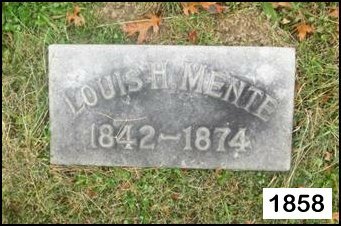 Also, although close, the dates are slightly different than those stated for Louisa. 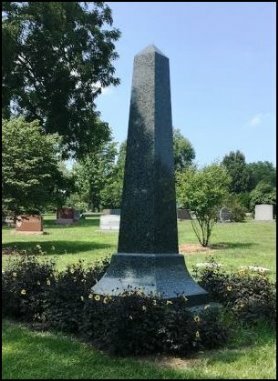 If this isn’t supposed to be Louisa, then even the cemetery doesn’t know who it is. 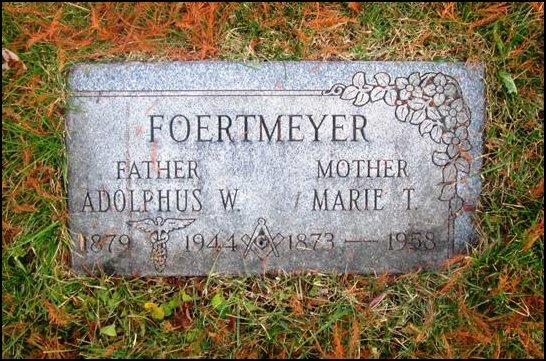 Maree Foertmeyer and Adolph “Duff” Foertmeyer were adoptive children of Adolphus and Marie Foertmeyer. 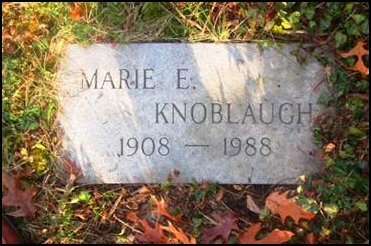 They were, however, natural brother and sister who were adopted from the orphanage at the same time. 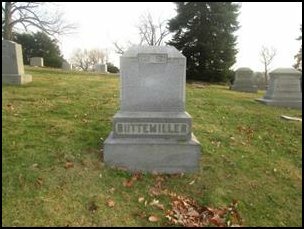 Their birth mother’s maiden name was Bessie May Smith. 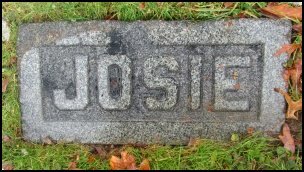 Buried in Spring Grove Cemetery, are Jacob and Margareta's daughter Rosa who is located in Section 9 Lot 4395. 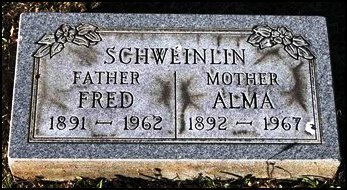 Their other son, Karl Schweinlin, and his wife Margaret Klink, are located in St. Joseph's New Cemetery. 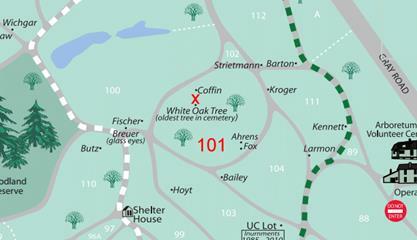 They are entombed in the outdoor mausoleum; Nativity Terrace Crypt F-105. 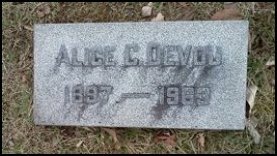 Not buried in Spring Grove, but the parents and grandparents to some of the following are William Heinrich Mente and Elizabeth Sophia Fricke Mente. 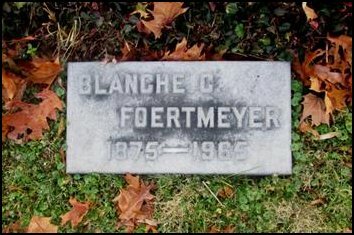 Marie Mente Foertmeyer (Section 113 Lot 8) was born to Heinrich Wilhelm Mente and his first wife, Wilhelmena Dorthea Fricke. 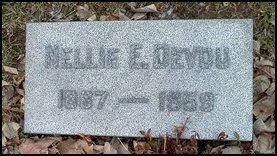 There were 4 children: Louis, Betti, Marie, and Adolph. Betti and Adolph were somehow "retarded" or disabled. 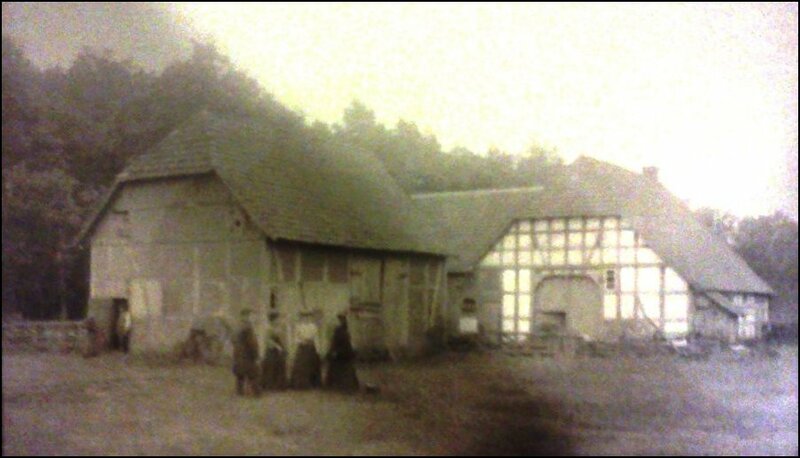 In his will, Wilhelm left most of his estate to their care. 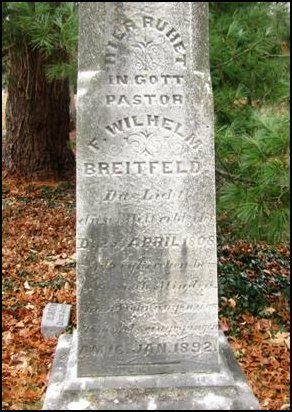 When Wilhelmena died, he married her sister, Marie Wilhelmine Sophie Henrietta Fricke. 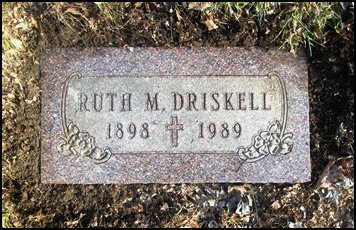 They had 9 more children: Emil, William, Alvin, EUGENE, Charles, Elise Bertha "Otillie", Karl Julius, Richard, and Emilie. 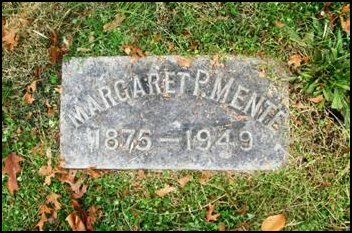 Any of these children buried in Spring Grove will have their mother's name below their listing in green type. When Herr Mente died, most of his children were living in the United States. 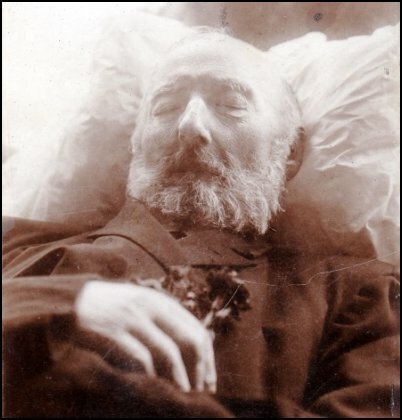 Having never immigrated himself, his funeral was held in Germany and this photo was taken to send to his children abroad who could not attend. 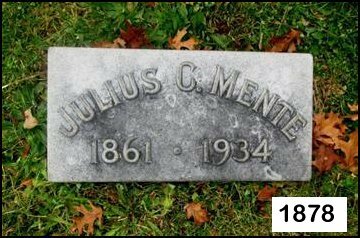 In the chart below, the two Fricke sisters were actually half-sisters, having the same father [Johann Heinrich Tiede Fricke] like the Mente children did, but also like the Mente children, their mothers were half-sisters. 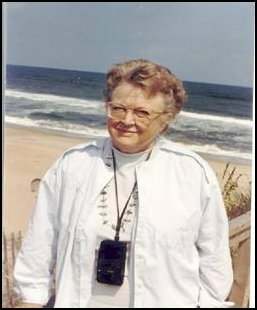 Dorothea Fricke's mother was Dorothee Auguste Habichhorst, and Henrietta Fricke's mother was Marie Charlotte Habichhorst. 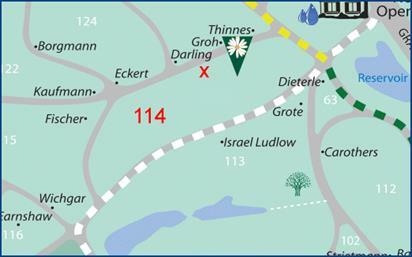 Johann Tiede Fricke was a forester in Harpstedt (Eugene Mente said he was a forester for the King of Hannover), his bride was Catherine Marie Charlotte Habichhorst. 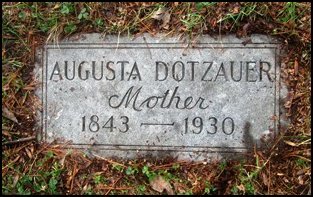 Breitfeld and his mother's sister, Aunt Augusta Dotzauer. 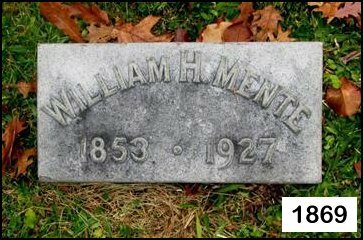 Although William Benjamin Mente and his wife Sadie Kendall Mente are not buried in Spring Grove Cemetery, William is one of the only Mente offspring in America not interred there. 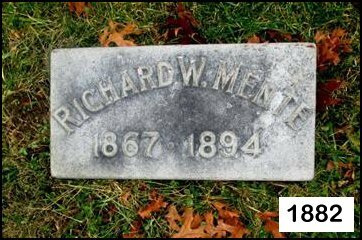 Furthermore, their infant son is buried in the Mente plot at Spring Grove as well. 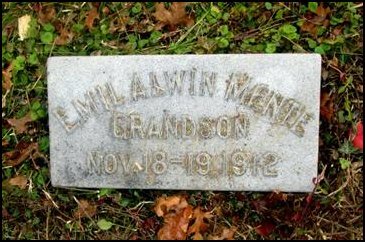 Little Emil Alwin died at birth. 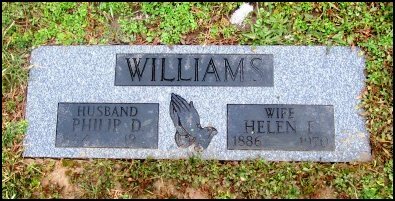 To my knowledge, William and Sadie had no other children. 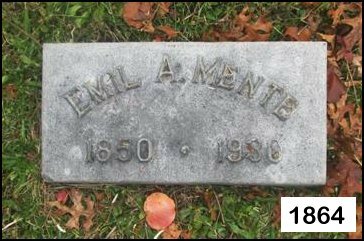 among which was Louis H. Mente MD [1842-1874]. 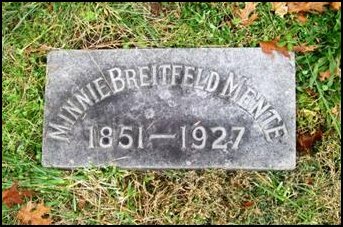 Somewhere around 1865 or so, Louis married Wilhelmina "Minnie" Breitfeld [1851-1927]. exactly two months. 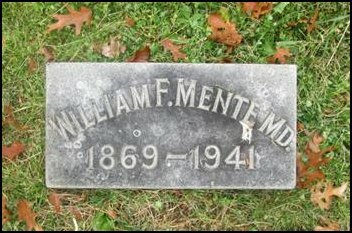 A living son was born to them as well; William F. Mente [1869-1941]. 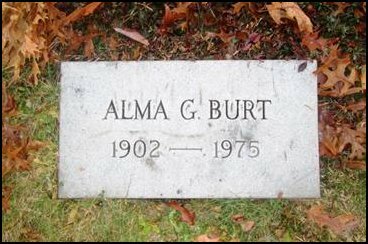 William married Margaret Puthoff [1875-1949]. 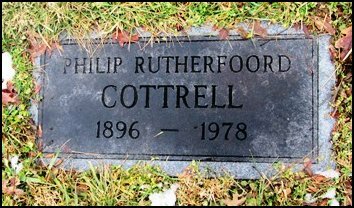 William and Margaret Puthoff had no children. 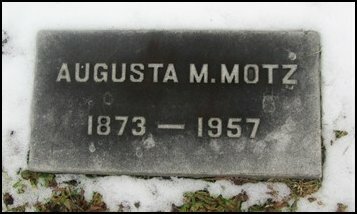 Augusta E. Mente [1873-1957] married Clemens H. Motz [1870-1975] on September 6, 1893.
simply a fall by accident. 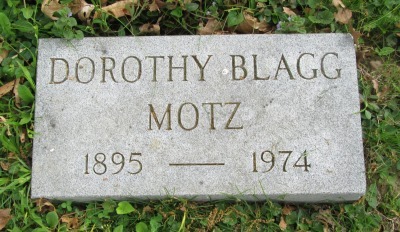 wife, Dorothy Blagg Motz [1895-1974] on April 19, 1916. 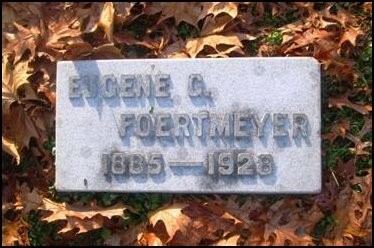 George Heinrich Foertmeyer married Henrietta Fike in ____. 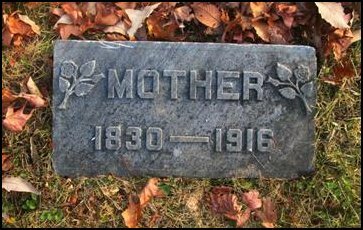 To them, on October 13, 1876, a daughter was born, whom they named Lillian Elizabeth. 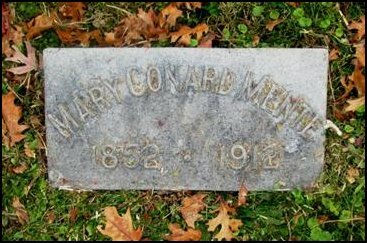 On March 8, 1877 George succomed to tuberculosis, leaving Henrietta and their four month old Lillian behind. 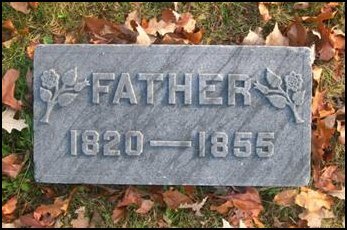 George was buried in the Foertmeyer family plot at Spring Grove Cemetery (Section 39 Lot 136 Space 11. 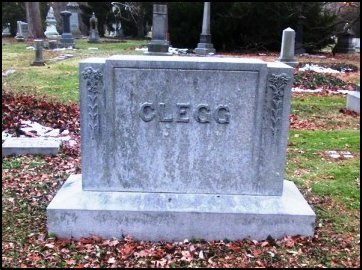 In 1885 George was moved to the John Joseph Clegg plot and placed in Space 1. 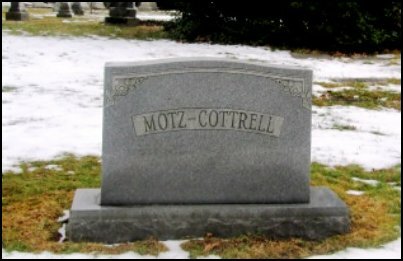 He was the first person to be buried in this plot. 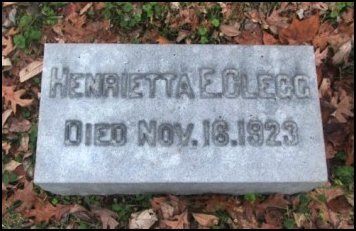 Apparently, Henrietta must have loved him very much, because she had herself laid to rest between George and her second husband of many years, John Joseph Clegg. 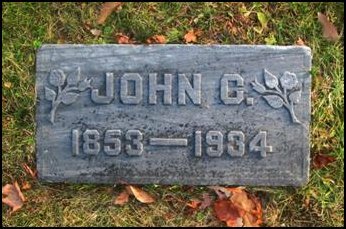 Both had preceeded her in death, John having been killed when he was struck by a streetcar at Main and Canal. 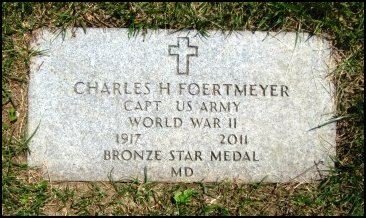 George, having been buried in the Foertmeyer plot would have been in an unmarked grave. 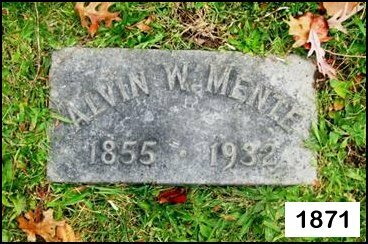 None of the original thirty-some graves are individually marked. 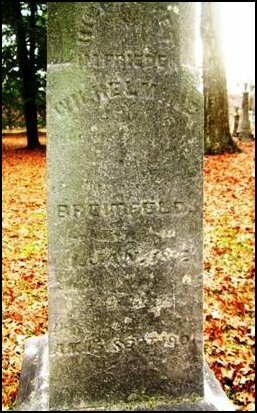 Being that George's headstone matches both Henrietta's and John's in style and content, I think it safe to say that Henrietta arranged for and paid for a personal stone for George. 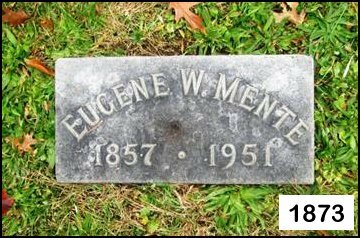 George and Henrietta's daughter, Lillian Foertmeyer, was raised in the Clegg household and sometime around 1900 married Dr. Edward Guinn. 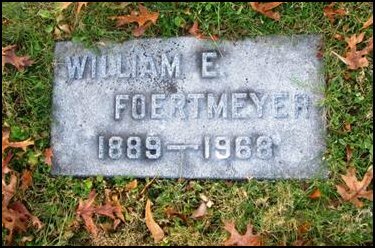 More can be read about this family at the Lillian Foertmeyer link below. George was the illegitimate son of Dorothee Luise Förtmeier. 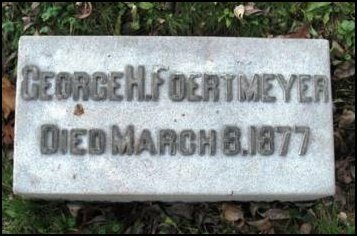 His cemetery records show that his father's name was Henry Fortmeyer, but based on German records, George was illegitimate so Henry, if that is his father's name, would not have been Foertmeyer. 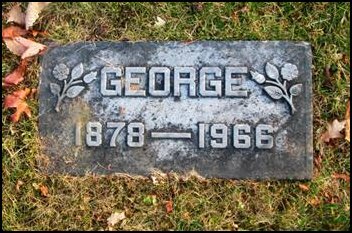 George did immigrate, and lived in Cincinnati until his untimely death at age 27 of tuberculosis. 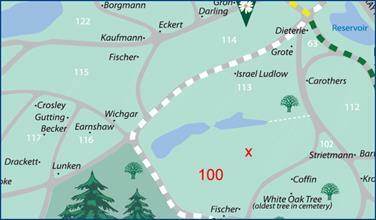 There were both Fortmeyers (meiers), and Förtmeyers (meiers) in this area of Germany. 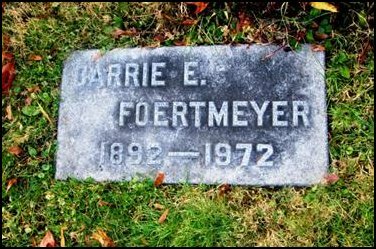 It seems that the two German ways of writing the names were Förtmeier and Fortmeier, pronounced distinctly differently. 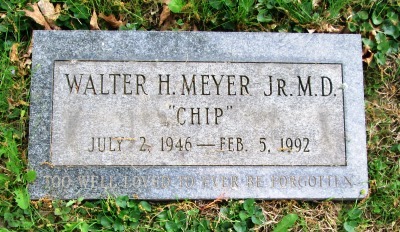 Americanized, the meier became meyer for both, but the Förtmeiers dropped the umlaut ö and replaced it with the diphthong oe which carried the same pronunciation. 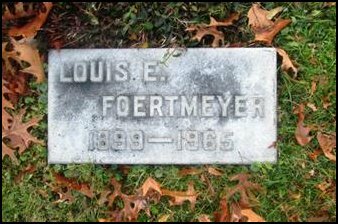 Louise Mathilde Förtmeier, B: 10 Mar 1828 in Essern, Nienburg, Lower Saxony, Germany, D: Jun 1854 in Bohnhorst, Nienburg, Lower Saxony, Germany. 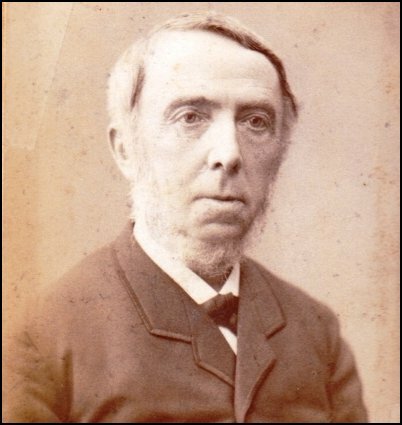 Georg Eduard Förtmeier, B: 21 Jul 1830 in Essern, Nienburg, Lower Saxony, Germany. 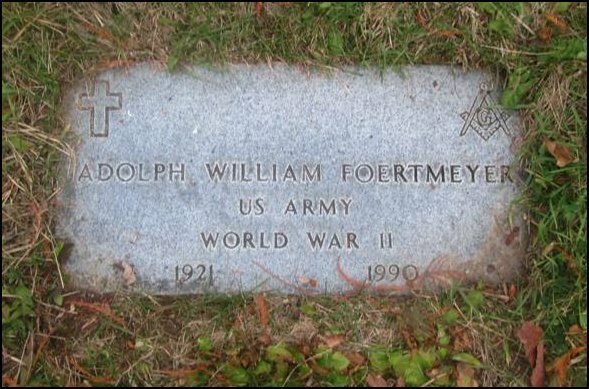 Wilhelm Adolph (Adolphus William) Foertmeyer, B: 08 Jul 1832 in Bonhorst, Hanover,Germany, D: 07 Jul 1893 in Cincinnati, Ohio, M: Elizabeth Kirchoff, Cincinnati, Ohio. 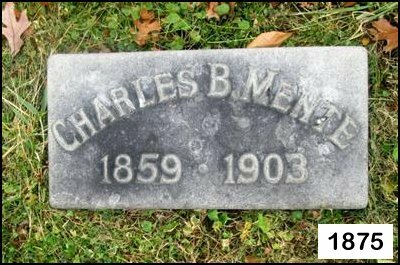 William Charles (Carl Wilhelm Förtmeyer) Foertmeyer, B: 19 Jun 1834 in Hannover, Germany, D: 19 Jun 1907 in Cincinnati, Ohio, M: Catherine Emily "Amelia" Bultman, 30 Aug 1858 in Cincinnati, Hamilton Co. OH. 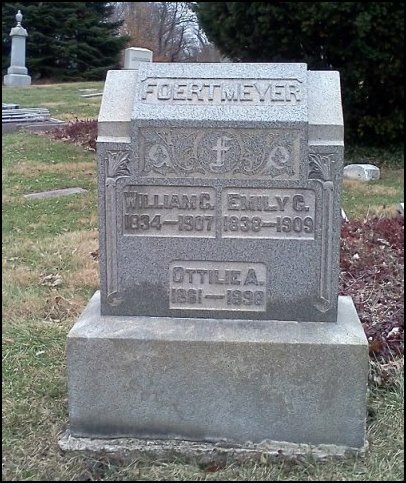 Emma Louise Bertha Förtmeyer, B: 03 Apr 1837 in Bohnhorst, Nienburg, Lower Saxony, Germany, D: 07 Aug 1894 in Cincinnati, Ohio, Arrived New Orleans in 1851 on ship Olbers with older sister Dorothea - M: Steffan Wagner, 01 Nov 1860 in Cincinnati, Ohio. 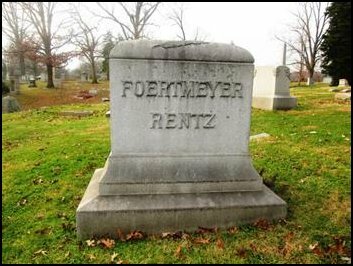 Friedericke Bertha Förtmeyer, B: 24 Mar 1839 in Bohnhorst, Nienburg, Lower Saxony, Germany, D: 26 Jun 1904 in 3110 Vine St., Cincinnati, OH, M: Herman Frank Reum, 19 Dec 1860 in Louisville, Jefferson Co. KY.
Charles Henry (Carl Heinrich Förtmeyer) Foertmeyer M.D., B: 01 Mar 1841 in Bohnhorst, Nienburg, Lower Saxony, Germany, D: 30 Aug 1912 in Cincinnati, Hamilton, OH, M: Rosa Rentz, 03 Feb 1868 in Hamilton Co, Cincinnati, Ohio. Anne Caroline Sophie Förtmeyer, B: 05 Mar 1843 in Bohnhorst, Nienburg, Lower Saxony, Germany, D: 14 Aug 1843 in Bohnhorst, Nienburg, Lower Saxony, Germany. 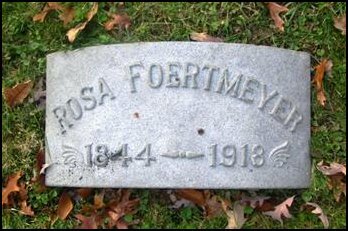 Louise Friedericke Förtmeyer, B: 29 Oct 1844 in Bohnhorst, Nienburg, Lower Saxony, Germany, D: 16 Feb 1847 in Bohnhorst, Nienburg, Lower Saxony, Germany. 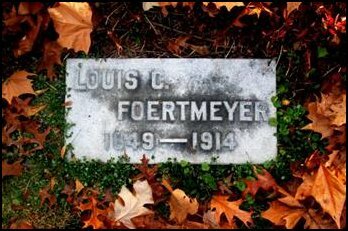 Louis C. Foertmeyer, B: 28 Jul 1849 in Bohnhorst, Nienburg, Lower Saxony, Germany, D: 12 Jul 1914 in Cincinnati, Ohio, M: Marie Mente, Abt. 1870 in probably Cincinnati, Hamilton Co., OH. 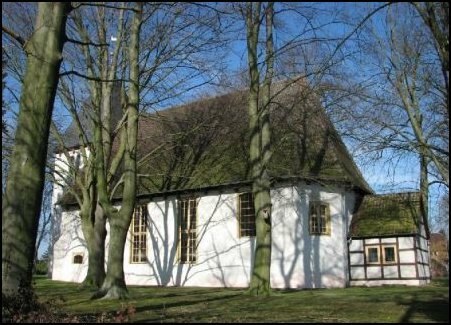 The above records come from the Lavelsloh Parish church records in Diepenau/Bohnhorst, Germany. 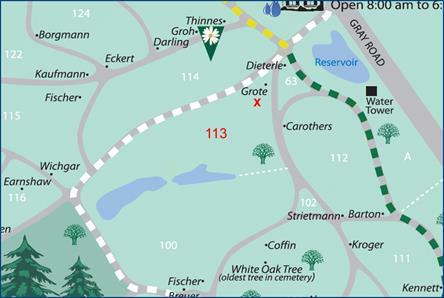 One thing I have noticed in working on this project, is that the vast majority of our German ancestors did not live in “Over the Rhine”. 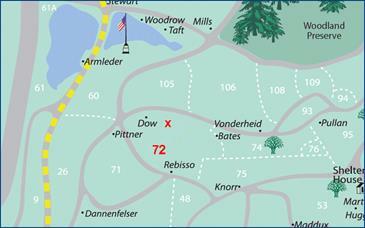 If you start checking out some of the addresses shown on the cemetery interment cards you’ll find they no longer exist. 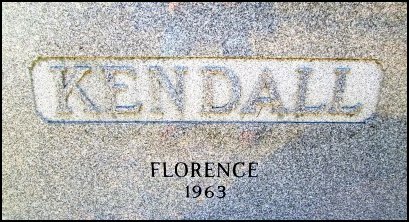 That is because most of our ancestors lived in Cumminsville (North Side) around Knolton’s Corner, or in the “West End” where I-75 plowed its way through their old neighborhoods. 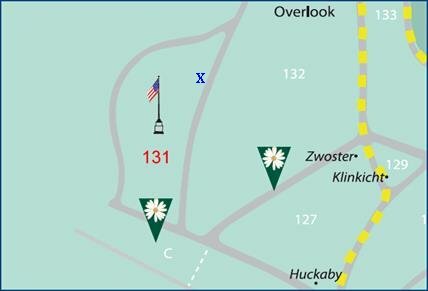 I have included some map links of old Cincinnati that you can follow to examine the street’s whereabouts back in the day that are under I-75 and its exchanges today.